Price Setter’s patented Transaction Arbiter is a system that permits merchants and service providers to interact in an automated way with prices of products or services from competitors. Rather than utilizing fixed price schedules, the transaction arbiter permits each merchant/provider to define a set of limiting parameters which describe how the merchant will respond to a request-for-bid for a given product or service. These merchant/provider limiting parameters interact with both a request-for-bid and the results of other merchant/provider bids to generate a dynamic real-time mechanism that prompts competition among participating merchants/providers and achieves an optimal price for a given product or service. In the majority of cases, everyone in a supply chain could be sued for patent infringement. Patent owners can sue anyone up and down the chain of distribution for infringement of a patent. Read article about this subject here. Manufacturers, distributors and end users are all possible litigants. For example in the case of Price Setter’s Patent No. 9,892,445 the end user (advertisers) can be sued for using the patented invention. The distributor (ad networks and ad agencies) can be sued for selling the patented invention. 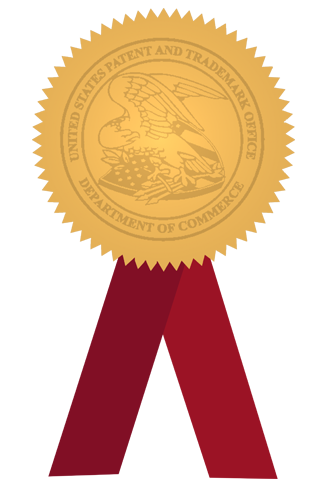 The manufacturer (website or app owners) can be sued for making and selling the patented invention. 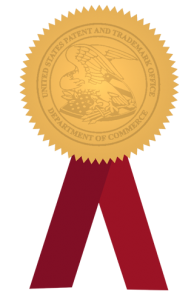 Not only can the manufacturer and distributor be sued for direct patent infringement, they can also be sued for indirect patent infringement if they induce another (e.g., end user or in this case advertisers) to infringe or contribute to the infringement of another by providing a key part of a larger, patented invention. Price Setter’s founders do not believe that enforcing patents is the way to go, instead founders believe that it is more productive to license the patents to those who need it and receive in return their cooperation to form an alliance where licensed participants will be protected from non-practicing patent assertion entities or from being sued by inducing those down the supply chain to infringe or contribute to infringe. If you are the owner of a phone app or mobile website please contact your website or app developer and request to contact us directly to receive instructions about how to proceed to request a patent license for you. If you are an advertiser please verify if the ad agency you are dealing with holds a patent license from Price Setter. Claim 1- A system for processing arbitrated price quote transactions over a network from at least one merchant in response to a request for quote (RFQ) by at least one customer, comprising: a customer input device, a merchant database and a transaction arbiter processing component in communication over the network with said customer input device and said merchant database via a remote host computer system, said transaction arbiter processing component storing at least one of algorithms and executable instructions that when executed perform a method comprising: (a) receiving, over the network……….. Claim 1- An improved and scalable system to implement a wide range of mobile software applications at remote points of activity in real-time or near real-time over a high-speed networking and communication system, comprising: At least one high-speed cellular mobile data communication network configured to improve the quality, capacity and speed of transferring data files between data input and output sources by simultaneously sending and receiving data between said data input and output sources; A communication exchange architecture configured to exchange connectivity to, from and between said data input and output sources via a plurality of available communication methodologies including said at least one high-speed cellular mobile data communication network; At least one multi functional mobile device in communication with a remote server system…………. Application No. 15/859,179 THE SMART PHONE FEATURING DIGITAL ADS PATENT. This application received a notice of allowance on 3/26/2019 and covers smart phones featuring mobile applications that use Real Time Bidding, programmatic bidding and header bidding digital advertising. Claim 1- An improved multi functional mobile communication device to implement a wide range of mobile software applications at remote points of activity via at least one high-speed mobile cellular data communication network in real-time or near real-time, comprising: a device housing; an interactive display screen generating at least one user interface;at least part of a data communication exchange architecture; a plurality of installed mobile software applications of which at least one of said plurality of installed mobile software applications involves bid transactions on a product or service including the location of the multi functional mobile communication device…………….